Ebola, Lassa, Venezuelan equine encephalitis, and Sindbis viruses were dried onto solid surfaces, incubated for various time periods under controlled conditions of temperature and relative humidity, and quantitatively eluted from surfaces, and viral titers in the recovered samples were determined. The viral inactivation kinetics that were obtained indicated that viral resistance to natural inactivation in the dark follows (in decreasing order of stability) alphavirus > Lassa virus > Ebola virus. 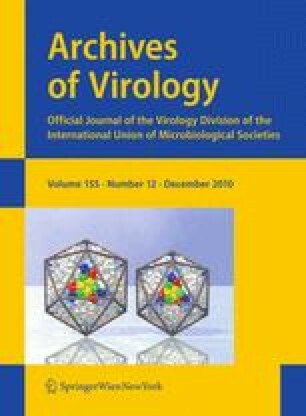 The findings reported in this study on the natural decay in the dark should assist in understanding the biophysical properties of enveloped RNA viruses outside the host and in estimating the persistence of viruses in the environment during epidemics or after an accidental or intentional release. This work was supported by the In-House Laboratory Independent Research (ILIR) funds from the Research and Technology Directorate, Edgewood Chemical Biological Center, Research Development and Engineering Command, US Army. The valuable assistance with Ebola and Lassa viruses provided under U.S. Federal contract by Dr. Ricardo Carrion at the Southwest Foundation for Biomedical Research (San Antonio, Texas) is highly appreciated.